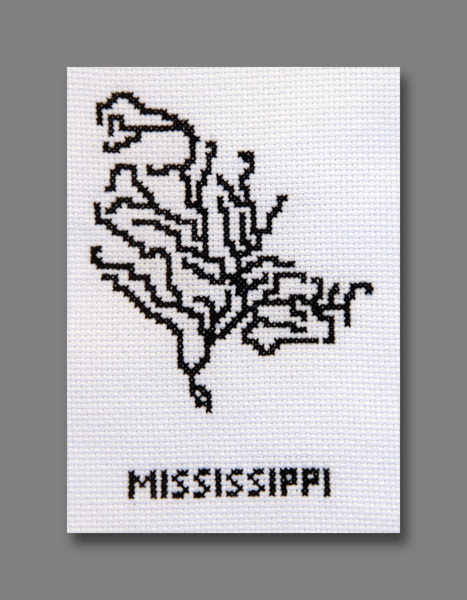 These are pixellated river systems scaled to the size of the Amazon and oriented so the mouth of the river points down (or as close to down as the format allows). 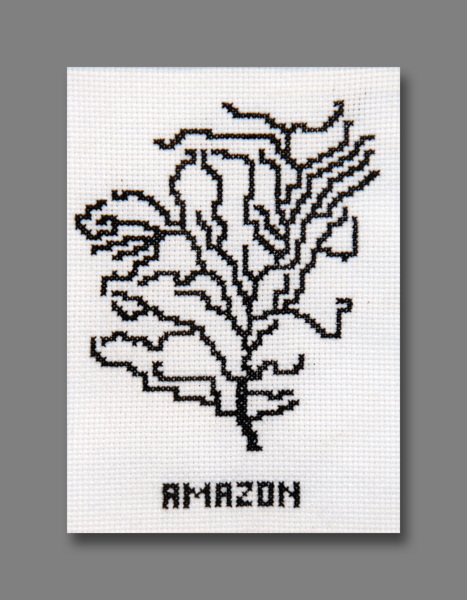 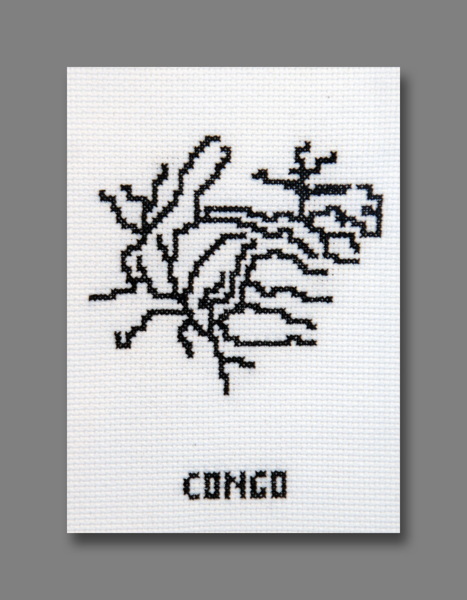 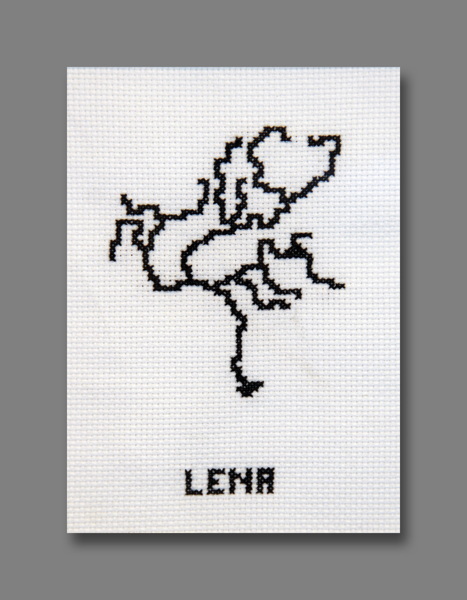 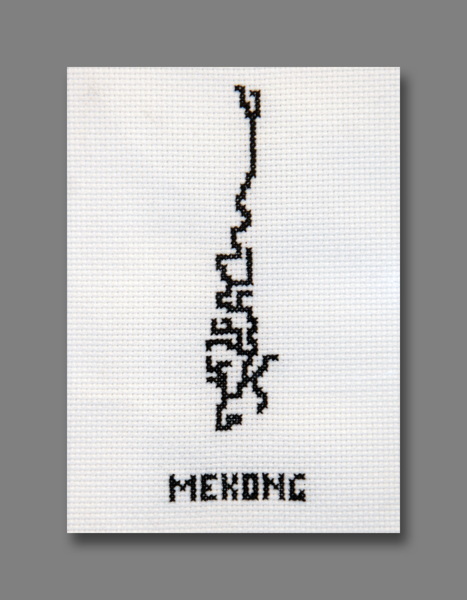 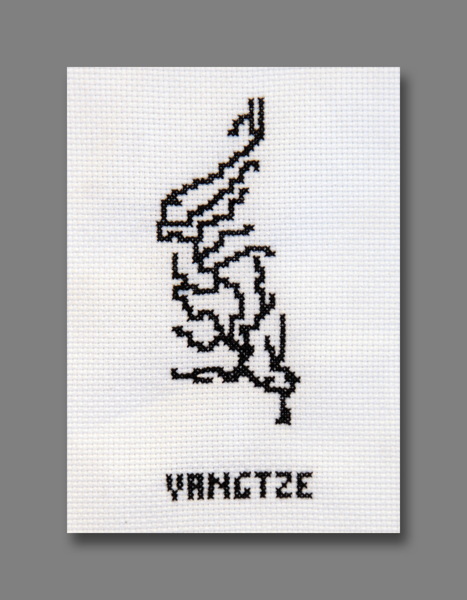 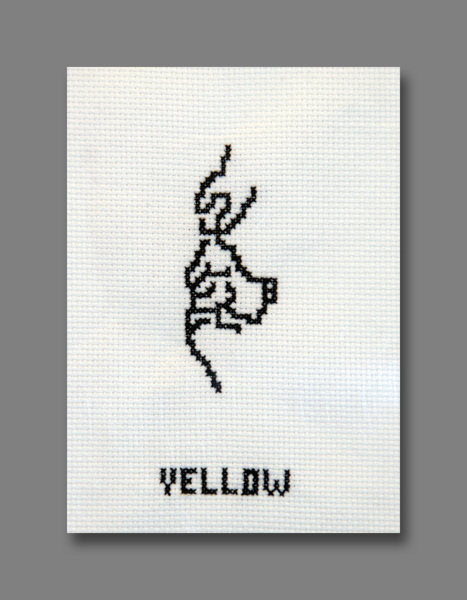 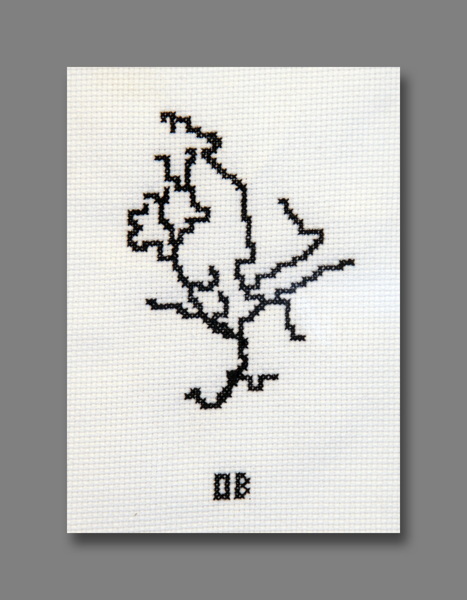 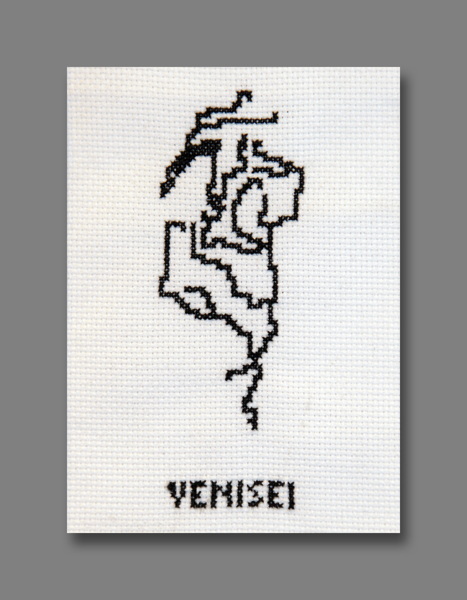 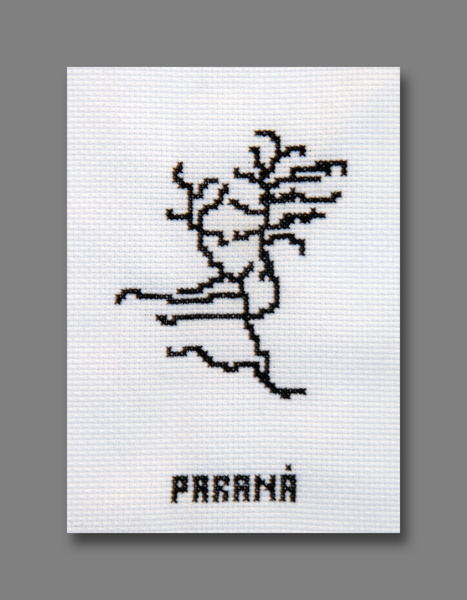 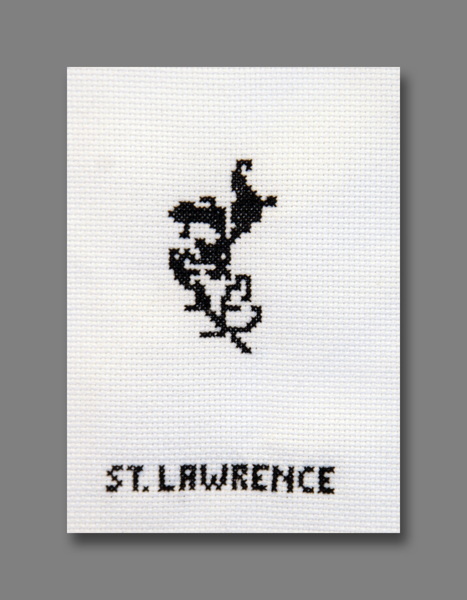 I made them in cross-stitch to examine the similarities and differences between a physical, handmade form of pixel art and a virtual, electronic form of digital art. 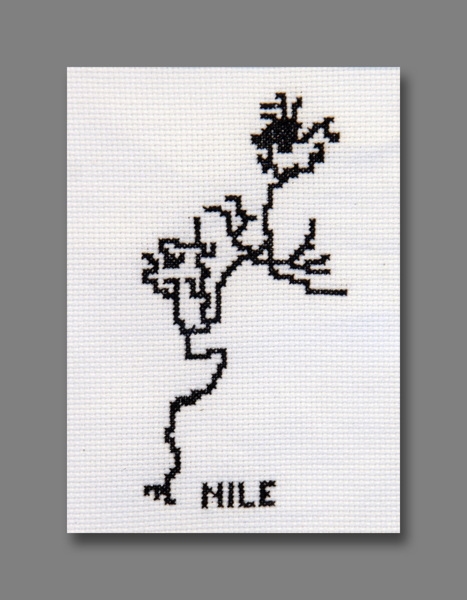 My statement card is available here.